Celebrate Valentine’s Day week with the return of #HeartsforArt. Once again CMA is joining museums across the country to celebrate Valentine’s Day with #HeartsforArt, a special way for art lovers to show off their love of art. Pick up a paper heart at the CMA admission desk and place it in front of an artwork you love, from February 12-17, 2019. 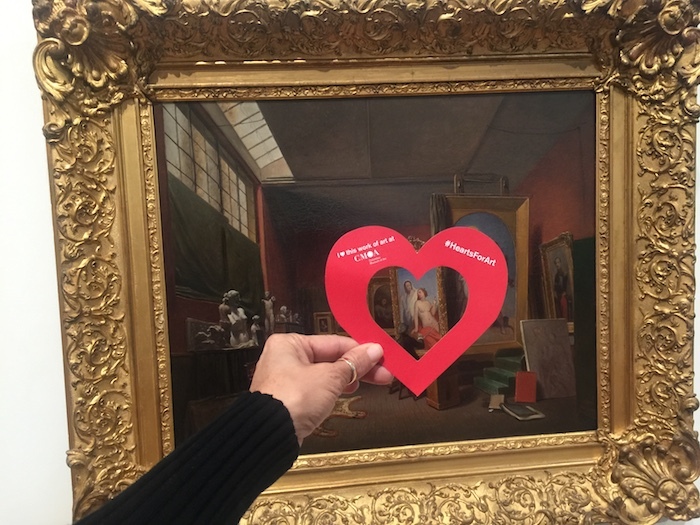 Share your love of art by taking a picture and using hashtag #heartsforart #mycma, and tag @columbusmuseum across your favorite social media platforms. We’ll share some of our favorites. Also please note: the Museum, Store, and Schokko Cafe will be open until 9PM on Valentine’s Day, and general admission is just $5 on Thursday evenings. 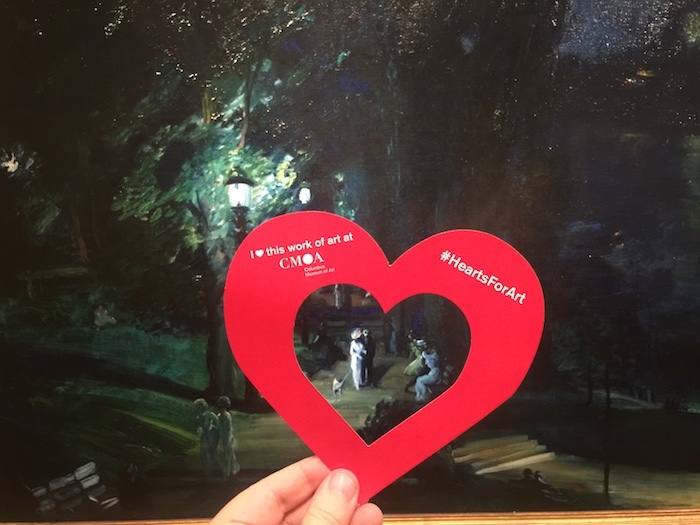 Since it’s launch six years ago #HeartsforArt has expanded to include participation from museums across the country from as far way as Alaska.